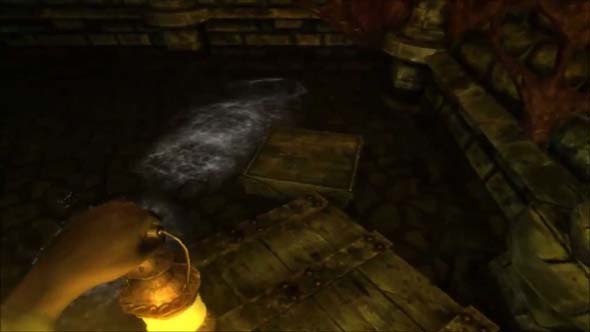 Is Frictional Games working on a new IP? I'm a bit curious as to why they outsourced development of the aptly-named A Machine for Pigs to the third-party developer The Chinese Room. Frictional's staff did stay on as "producers" for this game, so I'm sure that the final product is still consistent with what Frictional would have wanted if they had developed it themselves, and I think the overall story was still written by people at Frictional (but I could be wrong on that account). In any case, the change in development team has certainly had a dramatic effect on the way that the new game plays. The very core gameplay of exploring a linear dungeon with a flashlight is retained, but all the mechanics and the underlying feel of the game are completely different than its predecessor. This isn't necessarily a bad thing, as Amnesia: the Dark Descent wasn't perfect. Once again, the underlying premise that sets up Amnesia: a Machine for Pigs is that your character wakes up in a mansion with no memory of who he is or why he is there. 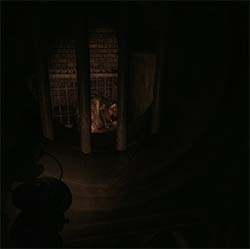 Your early exploration of the mansion reveals some vague threat, and you are forced to descend into a deep dungeon in order to discover who you are and resolve the threat. Along the way, you'll encounter deformed creatures and collect notes and documents from your former self explaining the situation, as well as have the occasional hallucinatory flashback as your memory slowly returns. But if you're worried that this sounds too much like the previous game, then fear not: A Machine for Pigs takes an entirely different approach to the gameplay and has a totally different feel to the entire experience. This review was originally published 10/17/2010 on Game Observer (now defunct as of 05/13/2014). In anticipation of the soon-to-be-released Brave New World expansion pack, the review has been republished here for archival purposes. For better or worse, I probably won’t be able to go back to Civilization IV after playing this. I want to put my review into perspective before I begin. I’m not a day-one Civilization player. I didn’t start playing the franchise until Civilization III (after it had already been out for several years and both expansions had been released). 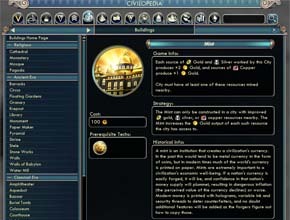 Civilization IV, however, is probably my favorite video game ever -- or at least, my favorite PC game. The only games that I’ve probably logged more hours with than Civ IV are the Sims 2 (plus all the expansions) and the cumulative sum of all the Madden games I’ve played since 2000. My hopes for Civilization V were sky-high from the moment the first details of gameplay were revealed about a year ago. This was despite my misgivings about the vendor and edition-exclusive gameplay content -- gameplay content should NEVER be exclusive to a vendor or edition of a game; anybody who buys a game should have the right to play any content that is released for the game (even if they have to pay extra for it) regardless of where they got it or when they bought! But now is not the place to discuss industry politics -- I’ll save that rant for another day. 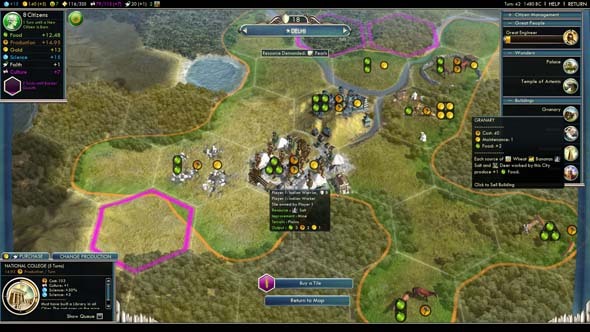 Back on-topic: Civilization V promised a lot: competitive, tactical combat with a totally new rule-set; intelligent, interactive AI leaders; a simpler, streamlined interface; and simpler, more streamlined gameplay without sacrificing any of the series’ trademark depth. I’ve been spending almost every free moment playing this game for the two weeks since release. Does it measure up? 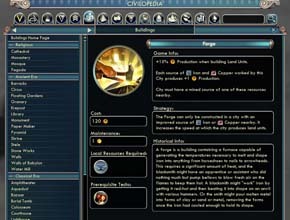 In anticipation of the upcoming Brave New World expansion pack for Sid Meier's Civilization V, I've been working on some mod projects. Today, I published a small resource mod called "Just a pinch of salt" that adjusts the yield of the salt luxury resource. By default, salt is a very strong resource to start near, as it provides +1 food and +1 gold base yield. Since it shows up frequently on plains, these tiles give your fledgling city a 2 food, 1 production, 1 gold tile out of the gate. With the addition of a mine, the food and production yield goes up by 1. Extra food from salt requires building a Granary. This mod aims to scale back the power of salt a little bit by removing the base +1 food modifier and moving that bonus to require the construction of a Granary building. In addition to it's existing bonuses, the granary now adds the +1 food to salt. Salt: +1 Gold base yield. Granary: +1 Food from salt worked by the city. Total salt yield after building Granary and mine. Once you have mined the salt and built a granary in the city, the total output of the salt tile is the same as in the unmodded game. 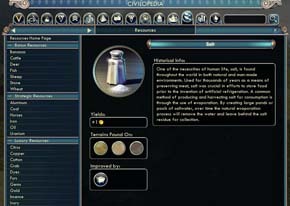 The mod can be downloaded from Civilization V's in-game mod browser by searching for "just a pinch of salt", or through Steam by visiting MegaBearsFan's Workshop (http://steamcommunity.com/sharedfiles/filedetails/?id=145306648). Forge: +1 Production from copper worked by the city. Mint: +1 Gold from copper worked by the city. Both buildings can be constructed in a city if copper is present within the city's borders. Forge and Mint improve nearby copper. 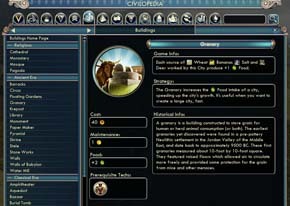 The mod can be downloaded from Civilization V's in-game mod browser by searching for "copper buff", or through Steam by visiting MegaBearsFan's Workshop (http://steamcommunity.com/sharedfiles/filedetails/?id=144822605).